Mothers & Daughters (Part 1). Mother/daughter relationships are a very special thing. I cherish the relationship that I was blessed to have with my mom for almost 23 years of my life. She was my best friend, my advice giver, my sounding board, my shopping buddy, and so much more. However, at one point in my life, I was a crazy 13 year old girl, and our relationship wasn’t always perfect. Like most 13 year old girls and their mothers, Mom and I would sometimes not be in agreement. 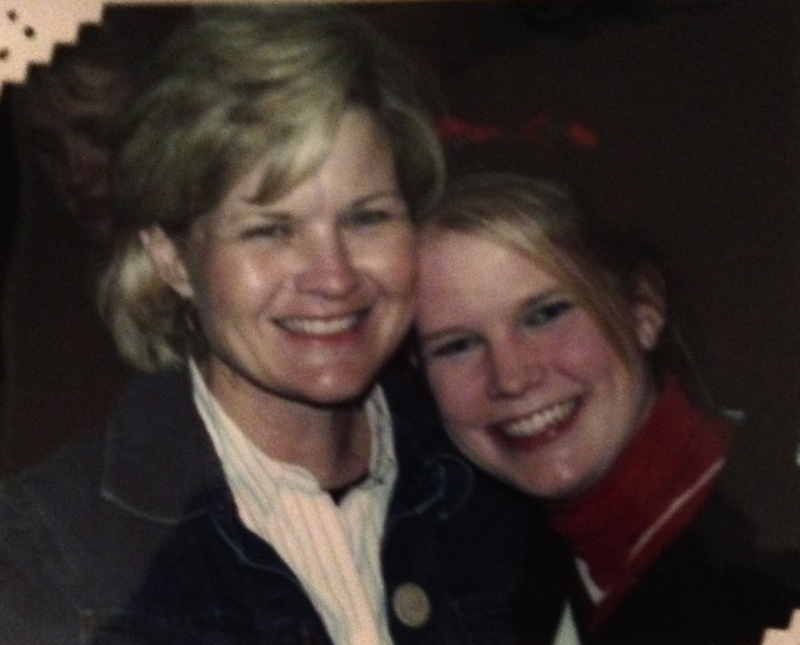 Compared to what I have seen and heard from some other teen girls and their moms, though, Mom and I had a fairly good relationship even in the “rough” early teen years, and I am SO thankful. When Mom passed away, I had no regrets. Obviously, 2 imperfect people will never have a perfect relationship, so as far as I am concerned, I could not have asked for a better relationship with my mom. 1. Your Mom knows best! Believe it or not, your Mom was once a 13 or a 16 year old girl too. Believe it or not, your Mom wanted to go out with her friends on a Friday night and date boys (hello, how do you think she met your dad?). So, your Mom knows best! When your Mom tells you, “No,” to going out with your friends, it’s probably because she knows it isn’t the best thing for you & she is trying to protect you. When she says, “No,” to dating it’s probably because she’s trying to protect that precious heart of yours. She is doing it all for YOUR GOOD! Trust me, one day you will thank her! You want proof that Moms know best? My mom was trying to get me to date my husband before I was even interested in him! Trust me, she saw that one coming from a mile away! 2. Don’t get annoyed with her “hanging around.” I know many of you want to roll your eyes when your mom signs up to come on that church trip or when she decides to volunteer at your school to be around more. Don’t!!! Want to know a secret? My husband’s a youth pastor and we ENCOURAGE your parents to do things like this! My parents taught 11th & 12th grade Sunday school and were constantly hosting youth events at the home I grew up in. Once again, they’re doing this for your good. They just want to be involved in your life (as they should be). Plus, youth ministries, schools, etc. don’t run without parent help! Enjoy that bonding time with your mom/dad! Also, if they get to know your friends & see that they are trustworthy people (if they are), they might be more likely to say, “Yes,” next time you want to hang out with them! 3. Listen to her fashion advice. I can picture it now… You & your mom are in the dressing room and you’re telling her she’s “old fashioned” because the skirt you want to buy is too short. She’s not “old fashioned!” Once again, she is protecting you! Your mom knows that how a girl dresses reflects on who she is. Your mom knows that how a girl dresses can send a wrong signal to the boys. Your mom knows what message that short skirt really sends. Listen to her. Like I said, she knows best! 4. Go to lunch with her. I LOVE getting to look back on the lunch dates, shopping trips, ice cream trips, etc. that Mom and I had. I would give anything to get to do that again with her. Take advantage of some girl time with your mom! 5. Talk to her. I always knew that I could tell Mom anything and it wouldn’t go past her. Friends are great, but Moms aren’t like your teenage girlfriends. You can tell your Mom anything and can 100% trust her not to go blab it to the next girl that walks by. You can tell your Mom anything and she can give you some wise advice on how to handle the situation. My mom was the best listener! 6. Know she isn’t perfect. Just like how you mess up, disobey, etc., your mom will as well. She isn’t going to be the perfect parent or the perfect person, but I am sure she is trying. Show her some grace as she shows you grace! 7. Honor her. Basically, show your mom respect. Scripture commands us in Exodus to honor our parents. Check out Ephesians 5 as well, there’s another spot where the Bible tells us we must honor and respect our parents. 8. Appreciate her (& show it). No, this does not mean just on Mother’s Day or her birthday. I definitely could have done a better job at this. Now that Mom is gone and I am an adult, I realize how selfless my mom was. She never ever put herself first. My brother, my dad, and I were always put before her. I think I will realize this even more when I become a Mom in about 7 months! I wish I would have genuinely said, “Thank you,” to her more! If your mom is still alive, you still have chances to do that! I really don’t think you can show your appreciation enough! I could go on and on about how special I think mother/daughter relationships are. If you are blessed with a Christian Mom like I was, you have a built in girlfriend, advice giver, shopping buddy, and mentor right in your own home. Take advantage of that. Some girls aren’t blessed with that. I would love to be blessed with a little girl so that I can attempt to have the same special relationship with her that Mom and I had. If you don’t have a mom or if you have a mom who isn’t a Christian, you can still have Jesus Christ. Jesus Christ is all you really need and He can fulfill every hole in your life. Get plugged in at a local church and look to ladies there to help fill this role in your life! I am sure that they would love to! I wasn’t the perfect daughter by no means, but I loved my mama so much. When I say she was my best friend, I mean it. Daughters who still have your moms here, love them, laugh with them, have fun with them, respect them, and listen to them. You will be so blessed by it! Moms of teenage daughters, keep pressing on! I will have a post for you coming up next :)! Next postMothers & Daughters (Part 2).